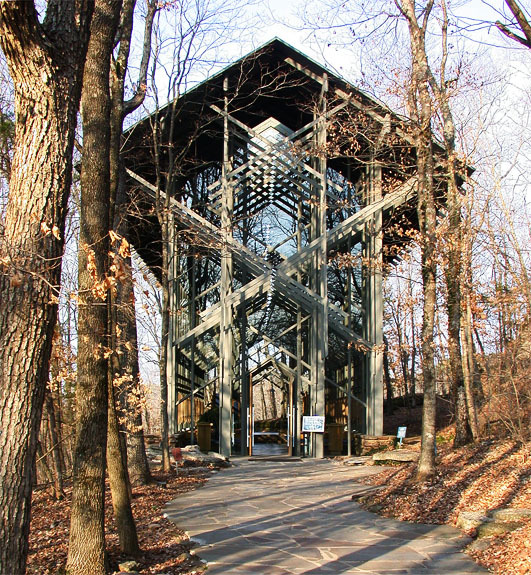 My friend got married in the beautiful Thorncrown Chapel which is nestled in a woodsey area and has all glass sides! Sooo pretty!! Wish I had remembered my camera!